“Twenty years and two months ago I began with US Biathlon,” Bernd Eisenbichler said to FasterSkier last week during a phone call to discuss his March 31, resignation as high performance director. For those of you unfamiliar with the name, Eisenbichler has worn many hats during his tenure with US Biathlon: Ski/wax tech, high performance director, and chief of sport. With a title like chief of sport, more fitting head-ware might have been a crown. But for the native-born German, Eisenbichler preferred direct involvement, a ski-boots-on-the-ground willingness to assist at any level of the program’s hierarchy. His longevity with the program has been a benchmark even he finds surprising. Asked if he intended on steering the U.S. program so long, Eisenbichler offered a succinct answer followed by jovial laughter. Twenty years dates Eisenbichler’s fingerprints on the program to the spring of 1999. Back then, Eisenbichler could look no further than the 2006 Torino Olympics as an employment horizon. After which, he explained, he expected to reassess his commitment. “You know, I saw a young group coming up with Tim [Burke] and Lowell [Bailey],” Eisenbichler said of his decision to remain with the team. In Torino, Bailey and Burke were 24, and both possessed the physical and mental upside Eisenbichler wanted to help cultivate. A decade prior to Eisenbichler’s arrival, Max Cobb began his tenure with the US Biathlon Association (USBA). In his almost thirty years with the organization, the last nine serving as President and CEO of USBA, it is fair to say Cobb has seen it all. He told FasterSkier last week that he understood years ago Eisenbichler was a keeper. Eisenbichler became high performance director in 2007. Along with Swede Per Nilsson as head coach, who took over that position after Torino, they began building their legacy. Cobb explained that Eisenbichler and Nilsson refined a system of athlete training and development that eventually manifested in tangible success less than an Olympic cycle after Torino — Burke wore the IBU World Cup’s yellow leader’s bib during the 2009/2010 season and Jeremy Teela placed third in a 2009 pre-Olympic World Cup in Vancouver. Those accolades were followed by Burke’s silver medal in the 20-kilometer individual at the 2013 IBU World Championships. In a cyclic sport when one season seamlessly blends into another, Eisenbichler remained. Let’s not fool ourselves. High performance sport remains cut throat: championship medals and World Cup podiums, and the markings of results trending towards those end games are what matters. Had Eisenbichler not delivered, he most likely would have been out. Burke and Bailey became consistent performers. Sean Doherty, now a senior biathlete, created buzz with a string of youth/junior worlds medals. Susan Dunklee, became the face of an emerging women’s program. She remains a podium threat skier. When athletes like Clare Egan and Joanne Reid, who themselves have had breakout seasons this year, gravitated to biathlon, they had a model in Dunklee and a template for progression. 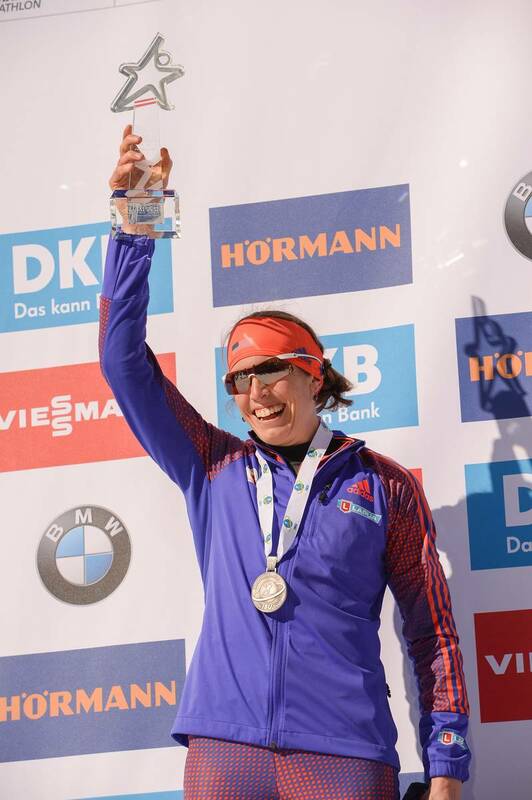 The 2017 IBU World Championships was the capstone for Eisenbichler. Bailey won the 20 k individual gold, and Dunklee won silver in the women’s mass start. “Yah, in 2017 after Lowell won the gold medal and Susan won the silver, I was thinking like ‘hey maybe soon it is time’ you know,” Eisenbichler said about when he had contemplated moving on from the U.S. program. Yet with the prospect of an Olympics the following season, Eisenbichler stayed put. Then, post-PyeongChang, the team lost several coaches and began a reboot. Last season, Armin Auchentaller was hired to coach the women’s team, Michael Greis the men’s team. Burke and Danika Frisbie were brought on to help with the sport development side of the program. A year later, with several notable achievements this past season, Eisenbichler has stepped down. “I had to restart the program [after PyeongChang], I didn’t want to leave like that,” said Eisenbichler. “Now it just feels like the right time. With Eisenbichler’s apogee in the U.S. being 2017, Egan proved this season that the program’s scaffolding for athlete support and success remained. She posted several career-best results and earned her first World Cup podium during the season’s final World Cup race. Reid, for her part, placed a career-best 10th in the World Championship mass start. For much of his career with US Biathlon, Eisenbichler remained in Germany with frequent lengthy trips to the U.S. during the off-season. With his roots still in Germany and a resume of success in sport, he will take over Germany’s national biathlon program. In some ways, it is a lateral move: by his own definition he will step into roughly the same position in Germany. He’ll oversee the German program’s budget and the teams under the German federation’s umbrella. 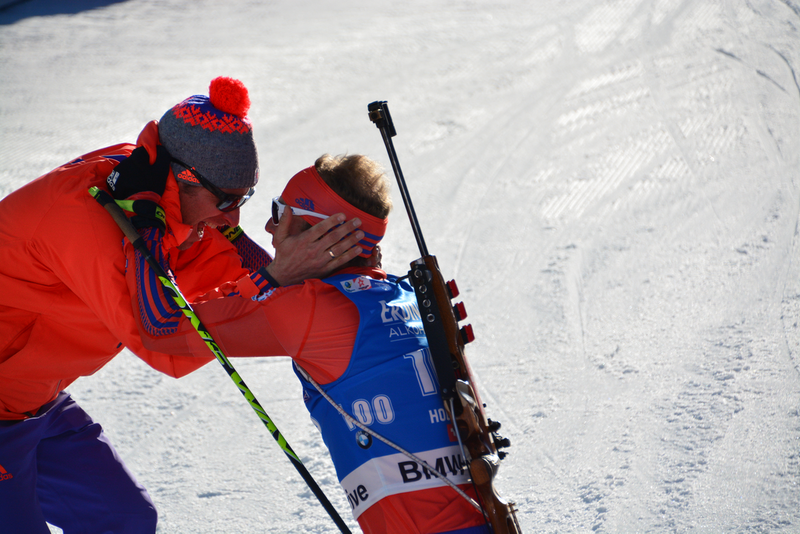 However, biathlon in Germany is not the niche sport it remains in North America. It is prime time. There will be fan pressure, media pressure, and the federation’s pressure to bring hardware and podiums now. In as much as he is German, Eisenbichler will import an American biathlon lens when it comes to wringing value from his German budget. Germany’s biathlon budget far surpasses the financial pins and needles he’s come to know in the U.S., but he maintains he will seek efficiencies. Something he learned to master in the U.S.
Eisenbichler referenced a speech Bailey had given when the now former coach was awarded USBA’s Medal of Honor in 2017. Bailey honed in on the David v. Goliath mentality Eisenbichler brought to the program. The parable was do more with less. In any career spanning two decades, the human connections run deep. Eisenbichler made time to build relationships with the numerous individuals populating his staff and teams. Beyond those connections, Eisenbichler leaves a profound legacy. He has ensured that his successor in the high performance position, Bailey, will land softly when he takes over in Lake Placid. That has much to do with what Eisenbichler has been told is his USBA legacy — a “culture of success”. Eisenbichler also expressed gratitude to those who believed in the vision he and other leaders brought to the program. “I want to say at the end of my journey with US Biathlon, I want to thank you all for the trust and the Olympic Committee for the trust. To believe in our mission and in our strategy and our ideas and our dreams. And I want to thank the athletes and staff that follow my leadership. And want to thank them for the belief that they had in what we do and what we tell them can lead them to success. 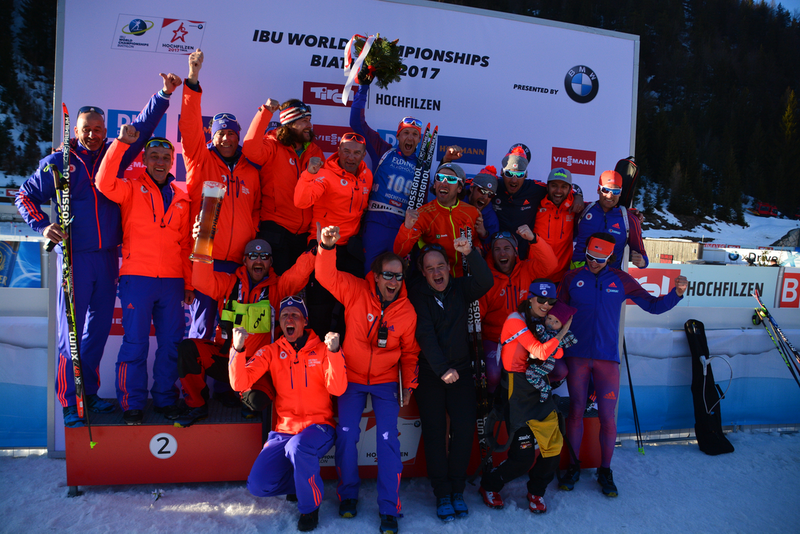 FasterSkier will follow this story with a piece on Lowell Bailey taking over the High Performance Director position with US Biathlon.